Hi all!! Hope your weekend is going well, mine is flying by! I'm happy to post this collection for you, as it is launching this week on Llarowe.com. Stay tuned to the Llarowe Facebook page to find out the exact release date. I'm going to start with my favorite from this collection! This is one coat layered over 2 coats OPI Haven't the Foggiest (San Fransisco Collection). Application was without problems. 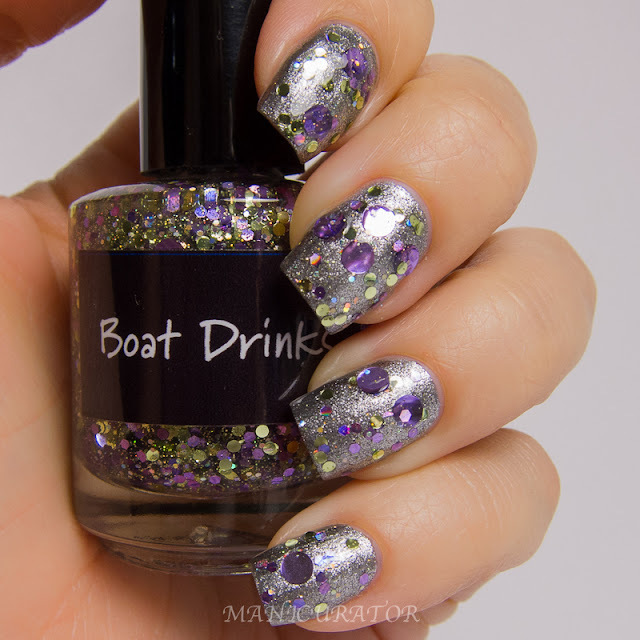 One coat of this glitter bomb layered over OPI Incognito in Sausalito (San Fransisco Collection). This one really rocks and sparkles in person. Love it! 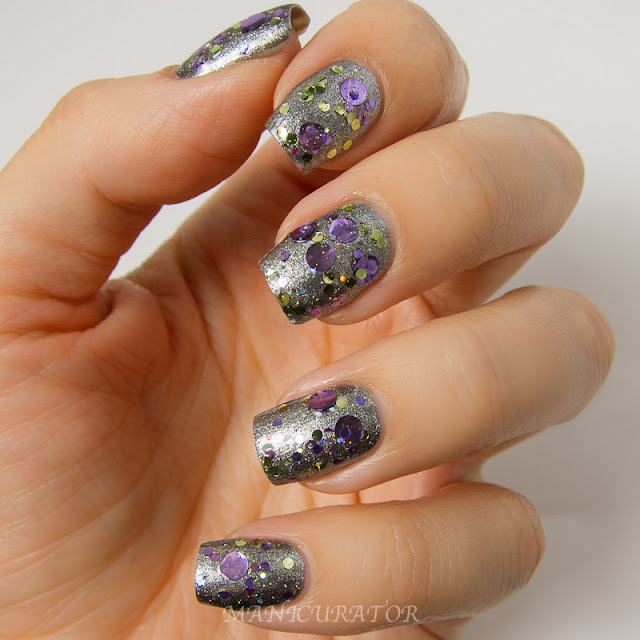 One coat layered over 2 coats OPI Dining Al Frisco (San Fransisco Collection). I think it was a good match over this blue, but would like to see it over a lighter, whiter shade next time. Two easy coats here, absolutely gorgeous. Of course the photos don't do it justice. 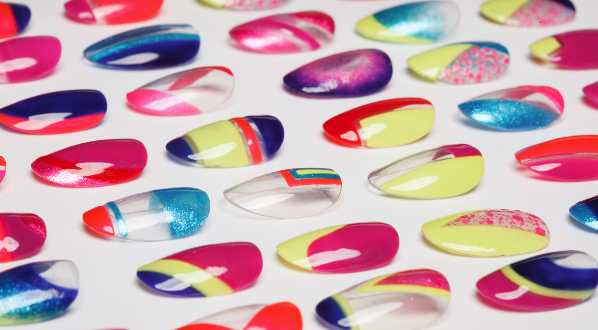 Two coats shown here, no problems with formula or application. 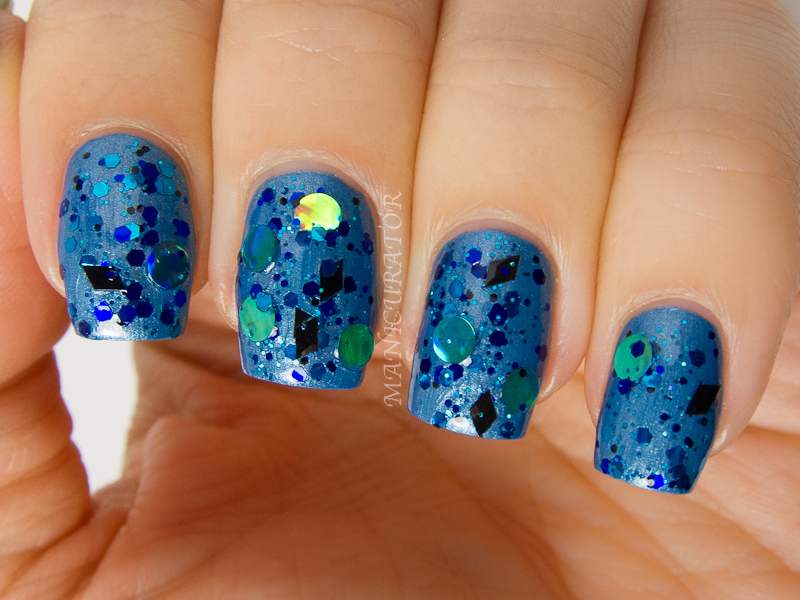 You can see from the bottle shot, that there is more going on in this polish than I was able to capture in photos. 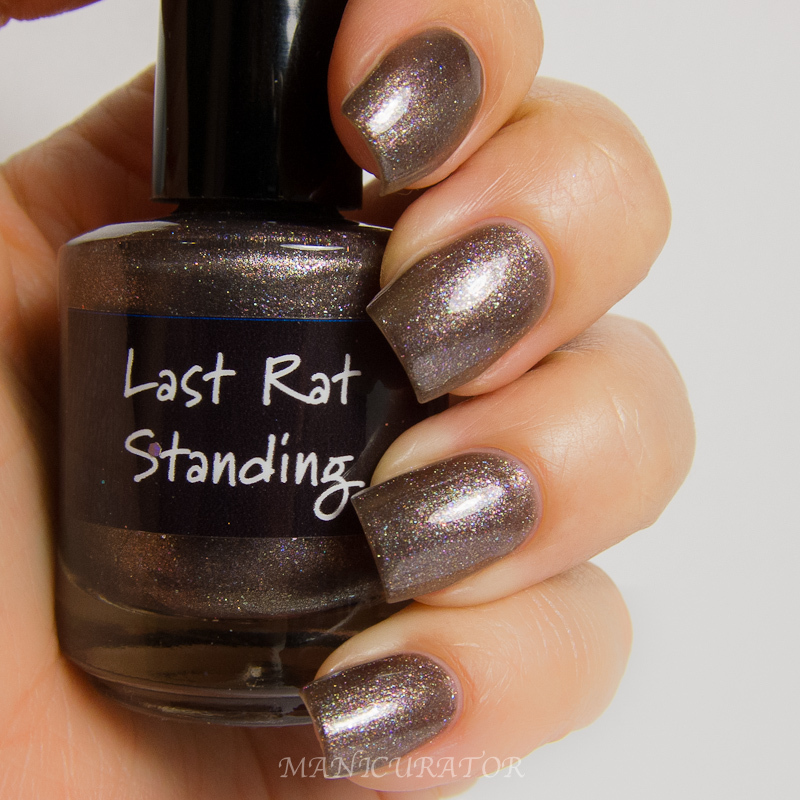 Crows Toes Last Rat Standing - A glass flecked taupe with multicolored shimmer. I needed three coats for this one, but no formula or application issues. Love how this is neutral and also not at all boring! 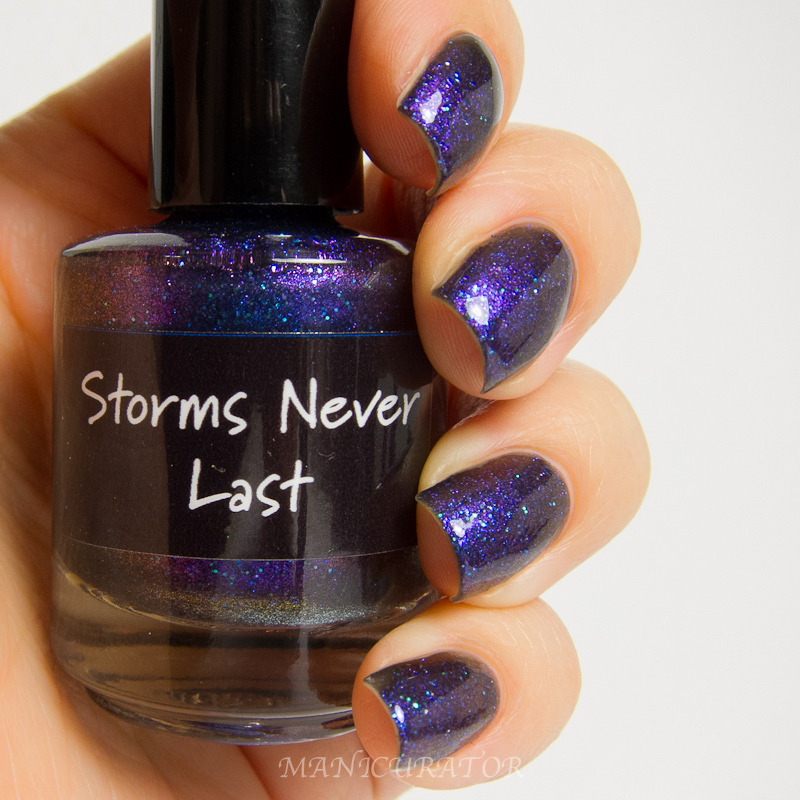 Crows Toes Storms Never Last - A Purple/Pink/Gold Color shifter with sparks of shifting teal glitter shining like little stars. Three coats needed for this one, and my bottle was a little on the thick side formula wise but I love the complex end result! 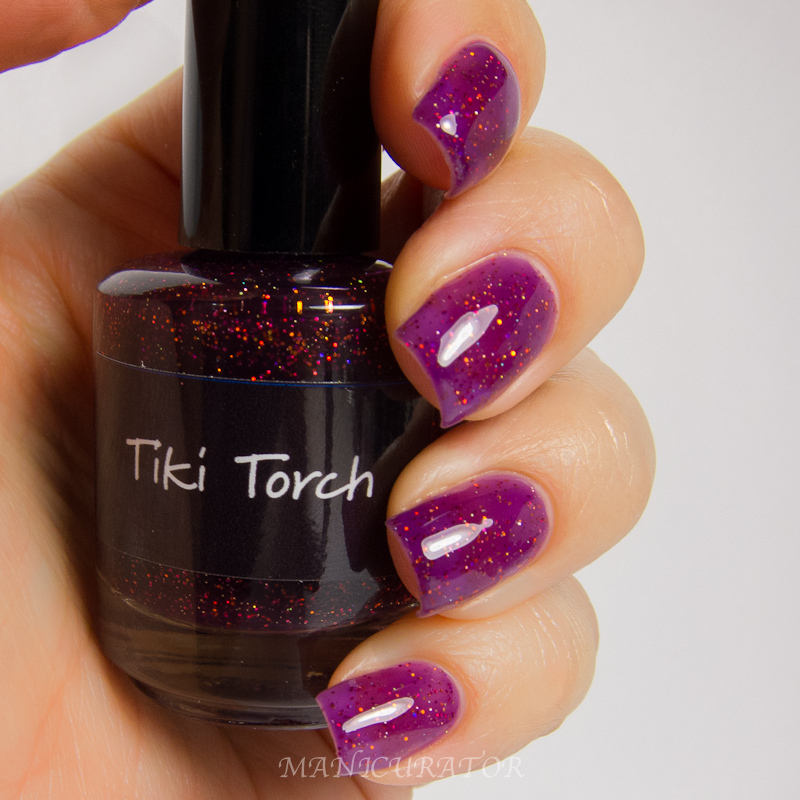 Crows Toes Tiki Torch - A yummy jellied purple lightly dusted with the fiery sparks of a great late night party out on the beach! Another three coater here, not surprising as it's a jelly base, and well worth the effort. This one really fits it's name and seems like little fire sparks flash throughout it. I have three coats on here, and yes, still a lot of visible nail line, if that bothers you you will need to layer it. Love that pink shimmer in this one! I was curious to see how this would layer over white, so that is what you see here. Three coats over one coat of white. I'd like to try it over black next. Do you have a favorite from the bunch? Are you planning on getting any? definitely One Trick Pony and Me & This Army! great review! 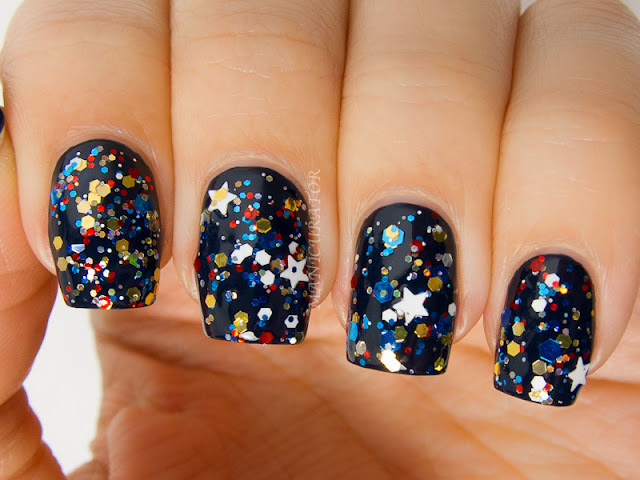 Great swatches; I love the Wonder Woman inspired one! 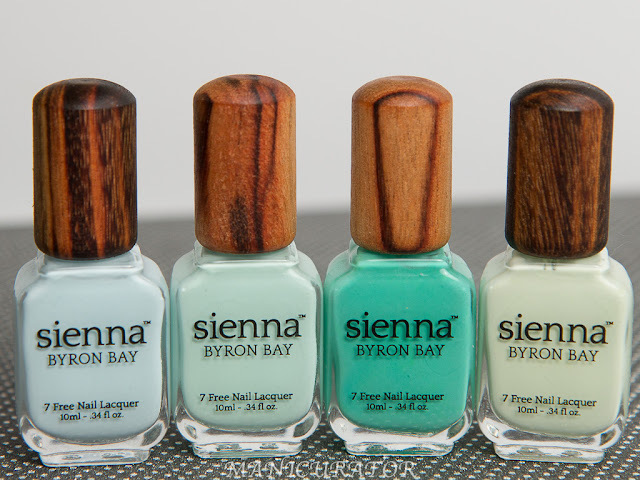 Really pretty swatches and great colour combos! I especially like Boat Drinks and Chess! ... You Dog. On the photos it looks a bit as if the big circle glitters are lifiting, is that true or is it just the angle of the photos? Tiki Torch is my favorite of these. 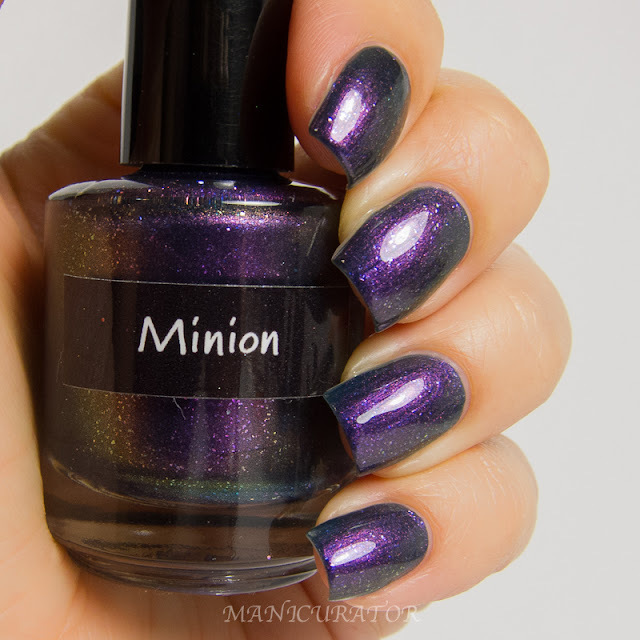 I am in love with One Trick Pony, Storms Never Last, Me and This Army, and Chess You Dog but I am absolutely drooling over Minion. 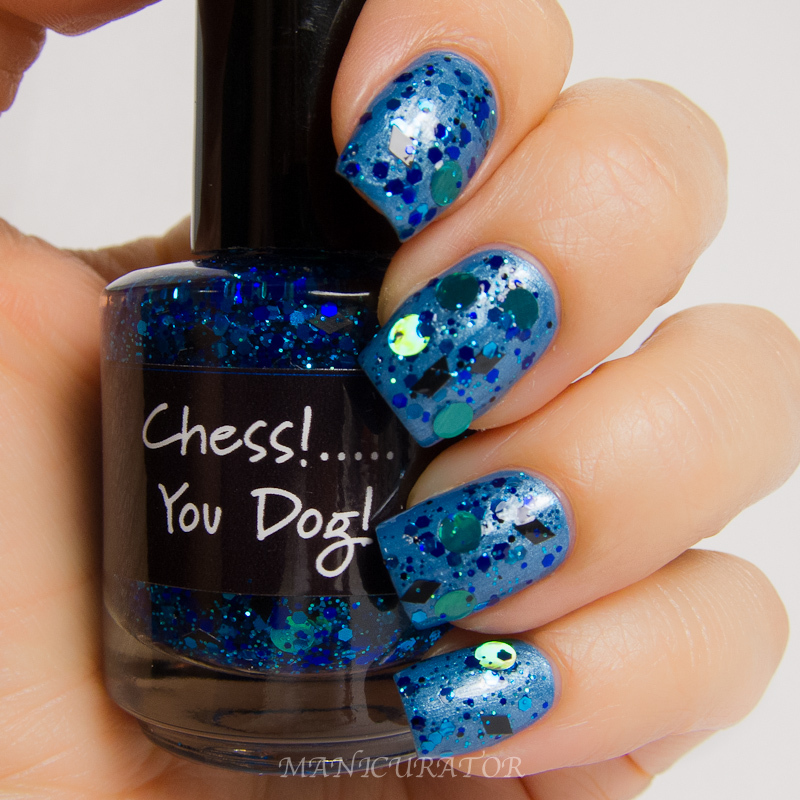 I saw a royal blue jelly sammich done with Chess You Dog and it was abso-friggin-lutely GAWJUS!!!! I like Crows Toes Storms Never Last, Crows Toes Minion and Crows Toes One Trick Pony this last one is my fave of all. I'm in love with circle glitters! Lovely swatches as always.